Spirit Adventure offers unique hiking and travel adventures personally designed to suit your pace, whether it be walking in an alpine meadow, strolling through a vineyard, climbing a mountain peak or relaxing in a panaramic train as you roll through the countryside. 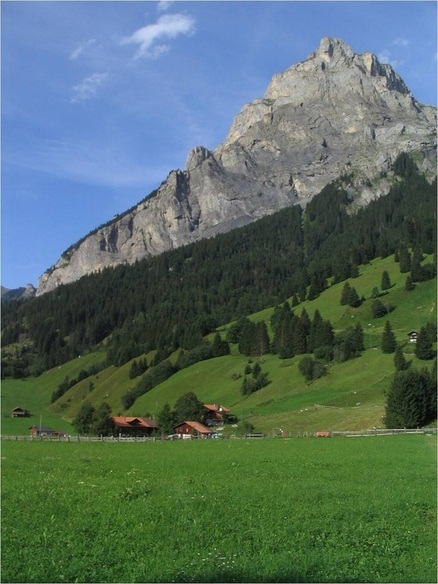 Summer tours are based in Kandersteg, Switzerland, in the heart of the Berner Oberland mountains. This Swiss hiking tour is different than many other hiking tours. Guests experience the heart of Switzerland's rural life in a quiet village where cheese is still made on the mountain and sheep and cows have the right of way on the streets. It is one of the few old pockets of Switzerland that are left. It is this part of Switzerland that will become a part of you. Chalet Onyx, home for the guests of Spirit Adventure's hiking tours, is a cozy farmhouse chalet tucked under the Bire mountain. Guests share their space, cook together and relax in the flower garden after a long day on the trail.